Hospitalized patients generally spend much of their day in bed. Whether in the ICU or in other hospital units, immobility and its associated negative consequences increase length of stay and hospital-acquired harms, leading to worse patient outcomes. 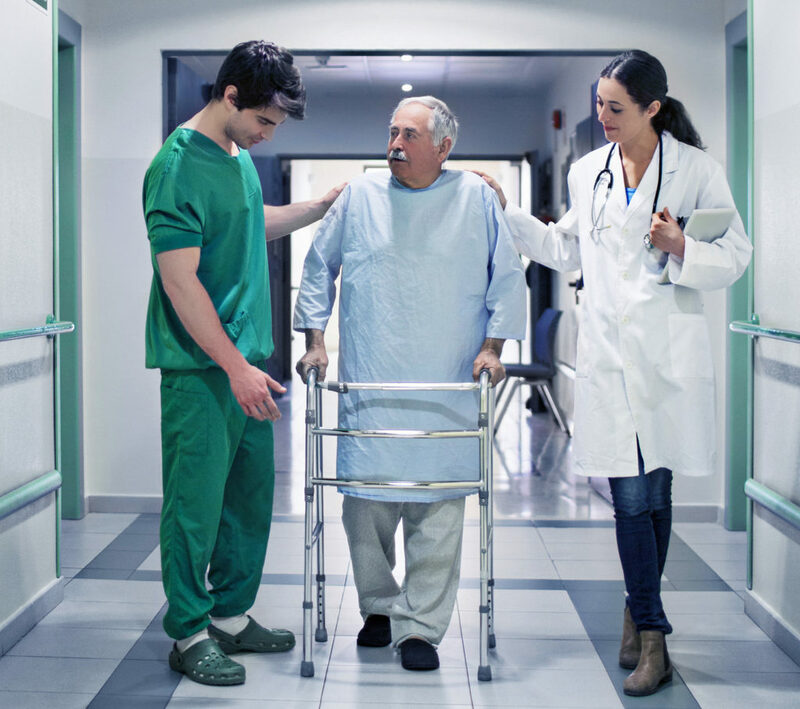 Once at home after hospitalization, patients are often physically more vulnerable, with negative consequences such as increased falls too often resulting in hospital re-admission. 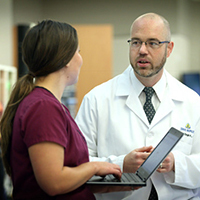 The Activity & Mobility Promotion (AMP) interprofessional program aims to support hospitals and health care providers that want to change the culture of patient immobility. AMP provides frontline caregivers and hospital leaders with the tools and support needed to design and implement structured quality improvement processes to successfully increase patient activity and mobility. 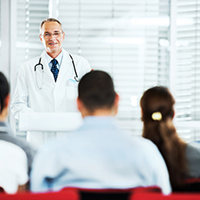 We provide a range of training opportunities, educational conferences and other services that are available to health care professionals everywhere. Just click on available programs and services to the right to see previews, descriptions and more information. Tools and resources to train, implement, and maintain AMP across your entire hospital. 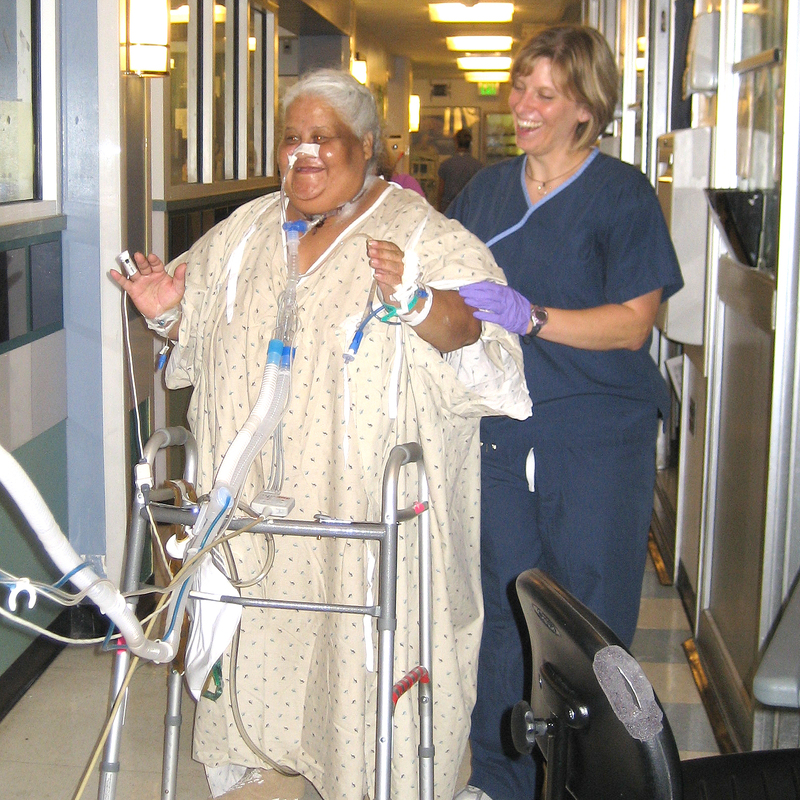 AMP ICU tools and resources help implement AMP in an adult critical care setting. AMP PICU Up! includes tools and resources to promote early rehabilitation at pediatric ICUs. 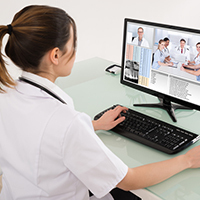 Participate in our convenient AMP online courses for adult and pediatric ICU settings. AMP experts provide guidance & training to meet your institution’s needs. WHY CHOOSE A JOHNS HOPKINS SOLUTION? For 130 years, Johns Hopkins Hospital has led the way in both biomedical discovery and health care, establishing the standard by which others follow and build upon. 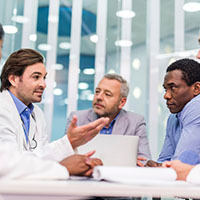 This is one of many faculty-developed programs, protocols and services provided by Johns Hopkins HealthCare Solutions to improve health outcomes and reduce the cost of care. Contact us to learn more about this solution and how it can benefit your organization. 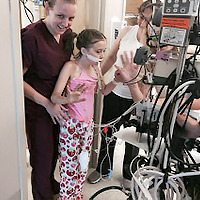 PICU Up!™ an AMP Program A non-pharmacologic intervention that promotes early rehabilitation for pediatric ICU patients.